Located in Namba, this hotel is within a 5-minute walk of Shinsaibashi Shopping Arcade and Amerikamura. Kuromon Ichiba Market and Dotonbori Glico Sign are also within 15 minutes. Shinsaibashi Station is 6 minutes by foot and Nagahoribashi Station is 7 minutes. How Much is a Hotel Room in Tadaoka? Hotels in Tadaoka start at $51 per night. Prices and availability subject to change. Additional terms may apply. If you're organizing a vacation in the Osaka region and are on the lookout for a place to stay in Tadaoka, you'll have a comprehensive range to decide between. Our database shows an impressive 27 comfortable places to unpack your bags within a 6-mile (10-kilometer) distance of the Tadaoka city center. Trying to discover a Travelocity-listed room just a short walk to the heart of Tadaoka? Hotel Lake Alster Alza Izumiotsu and HOTEL Celavie RESORT Izumiotsu - Adults Only is sure to be of interest. 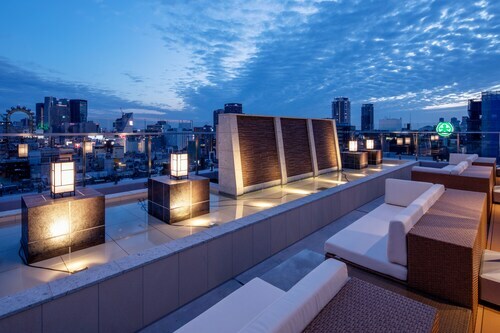 The The Ritz-Carlton, Osaka is positioned 15 miles (24 kilometers) from the main part of Tadaoka. 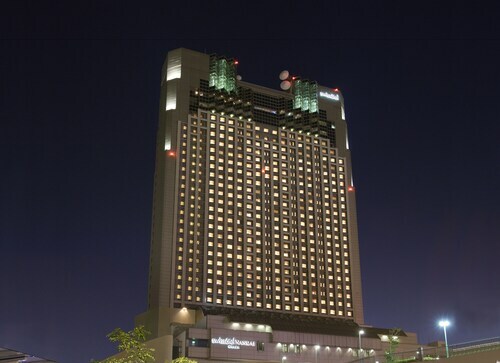 Alternatively, the Hotel La Suite Kobe Harborland is situated 17 miles (28 kilometers) away. The InterContinental Osaka and also the The St Regis Osaka are some other Travelocity-listed accommodation options around Tadaoka. If you have some spare time, you should explore the other scenic and cultural delights of the Kinki region. Kinki is well known for its beaches and lakes, and other commonly visited tourist sights are ruins, castles and traditional villages. In this section of Japan travelers can also partake in mountain biking. Tennoji is 14 miles (22 kilometers) to the northeast of Tadaoka and features Shitenno-ji Temple and Isshinji Temple. 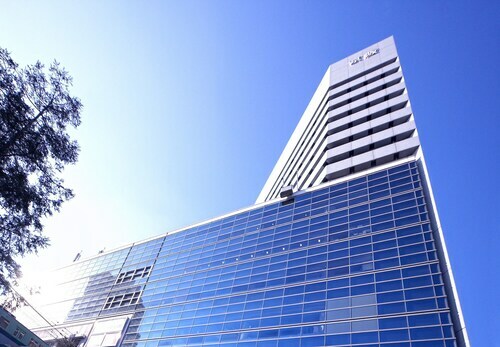 When you stay in Tennoji, check out the Hilton Osaka and Swissotel Nankai Osaka. 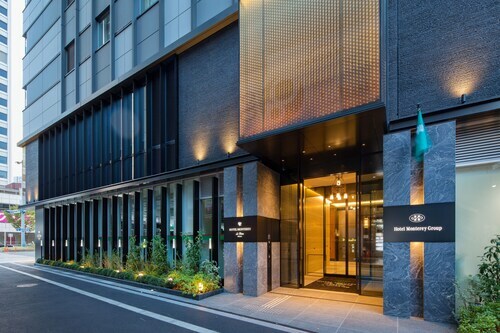 Alternatively, you could consider staying at Konohana, 12 miles (19 kilometers) to the north of Tadaoka, where you have the options of the Hotel Universal Port and Hyatt Regency Osaka. The Universal CityWalk® Osaka and Arima Onsen are some more frequented places to visit while in Konohana. If you are always thinking about sport and enjoy watching thrilling clashes you might choose to get yourself to Osaka Dome, which can be found 13 miles (21 kilometers) to the north of Tadaoka. Those sports fans that would like to find a bed near the stadium can make a choice from the Hotel the Lutheran or the Namba Oriental Hotel. Planning on flying to Tadaoka? You should look at Kansai International Airport, 9 miles (15 kilometers) away from Tadaoka's central area. Stay nearby at the Hotel Nikko Kansai Airport. Very nice, well-situated brand-new hotel. Within walking distance to the Osaka Station and several restaurants and convenience stores. The room we stayed in was a bit small, but that's Japan. Other than that, the room was clean, comfortable, and cozy. Front staff were welcoming and very helpful at check-in and check-out. Very much appreciated that they were able to hold our luggages after checking out early so that we could do some sight-seeing until our next hotel check-in. I will definitely stay here again! The hotel was a bit of a disappointment. The only good thing about this hotel was the nice lobby and that was about it. The room I had initially booked was in the older tower, where everything from the elevator to the hallway leading to the rooms were dated and reeked of smoke and old smell. I didn't bother checking out the room as I decided to head back downstairs to the front desk to upgrade to another room in the newer tower wing. This time, the room was much better...HOWEVER, to our dismay, the AC in the room was unusually warm and there was no way to control it since everything was centralized and set to ONE temperature for the entire hotel. While the front staff were nice and polite, and the free shuttle to/from Osaka Station was a plus, I really don't see anything "royal" or 4-star worthy about this hotel. I definitely wouldn't recommend staying here in the future. Nice hotel very close to the train station and shopping. Cozy room similar to most we encountered on our travels in Japan - but included everything we needed. Great location near the Kuromon Market and Dontonbori! Hotel clean, roomy and the staff is friendly and helpful! 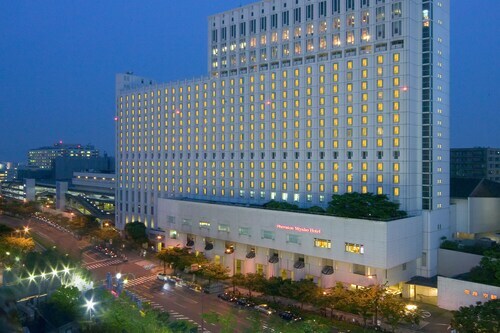 Hotel is close to train station & shopping center.